Read the most common questions from candidates using the online learning platform. What software do I need to run the online course? Our platform requires that you have an internet connection and can be accessed from a PC or Mac or tablet device such as an iPAD. 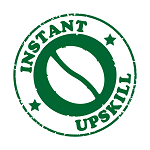 Please check your email inbox for an email from ‘Instant Upskill’ and if not there please check your spam filter or junk mail folder. if this happens please add our email address to your safe list. Our courses are subscription based and this means they have a preset time limit but this is normally either 6 months or 12 months after the date of purchase. To access your course you need to go to elearning.instantupskill.com and enter your username and password you recieved by email. What if I am still having problems completing my course? Technical support is available Monday to Friday 9-5pm and the quickest way to get in touch is by the live chat facility available on any page. If technical support unavailable please leave a message and they will contact you. I have finished session 1 but cannot move on to session 2 it states please go back and complete previous lesson? To move forward in the course you need to tick the ‘Mark as Complete button at the bottom of each session page. Are certificates available for completed courses? Yes once a course is complete and you have successfully passed the assessment, you can print off a certificate to show that the course has been successfully completed. If you would like a certificate printed on certificate paper and framed we can also provide this service for a small fee.